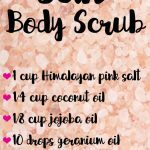 DIY Himalayan Salt Deodorant – Roll On & Spray Recipes - beautymunsta - free natural beauty hacks and more! 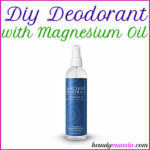 Benefit from the amazing properties of Himalayan sea salt for homemade deodorant! Make your own DIY Himalayan salt deodorant right at home. What Makes Himalayan Salt Good for Deodorant? ► Minerals – Himalayan salt is super rich in minerals that nourish the skin and help it detox. They include magnesium, potassium, sodium and more. ► Antibacterial – It kills off bacteria and germs that are the number one cause of bad body odor. When we sweat, it doesn’t stink but when the bacteria on skin mix up with the sweat is when the BO comes in full blast. ► Neutralizes bad body odor – Salt absorbs the bad odor and neutralizes it. ► Fresh clean skin – Himalayan salt also soaks up excess sebum and sweat on the skin, keeping it fresh and clean. 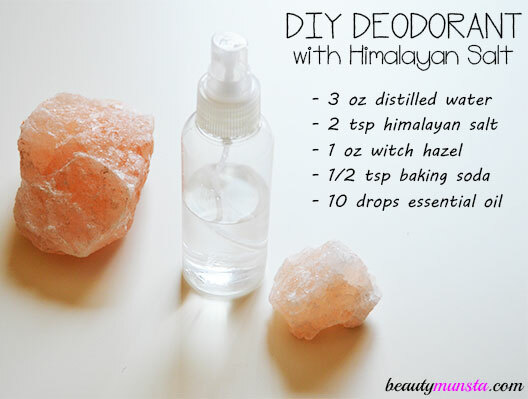 Below, I’ve listed two great DIY Himalayan salt deodorant recipes: one is a roll-on recipe and the other is a spray. I’d use the roll-on for winter and the spray for summer. But it’s all up to you! Choose whichever tickles your fancy! 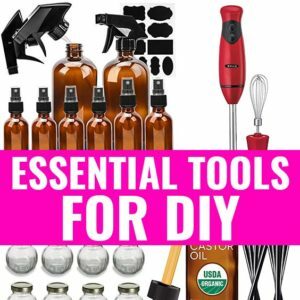 Remove the stainless-steel roller ball from the bottle and add the essential oils. 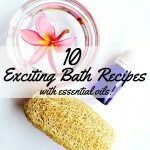 Add the Himalayan pink salt crystals and top with witch hazel and vegetable glycerine. Push back the roller ball firmly onto the bottle and shake well. Roll onto clean and dry underarms. Heat the distilled water until very warm. 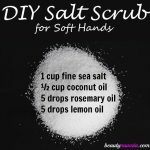 Then dissolve the Himalayan sea salt and baking soda in it. 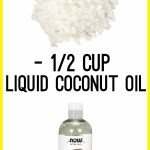 Now let it cool off completely then mix in the witch hazel and drops of essential oil. Carefully pour the Himalayan salt deodorant into a glass spray bottle. You many need a small funnel for this or use a Pyrex measuring cup. Spray onto clean and dry underarms as needed. Twice a day: before work in the morning and then in the evening works perfect. Will you try making your own DIY Himalayan salt deodorant? Which recipe do you prefer?